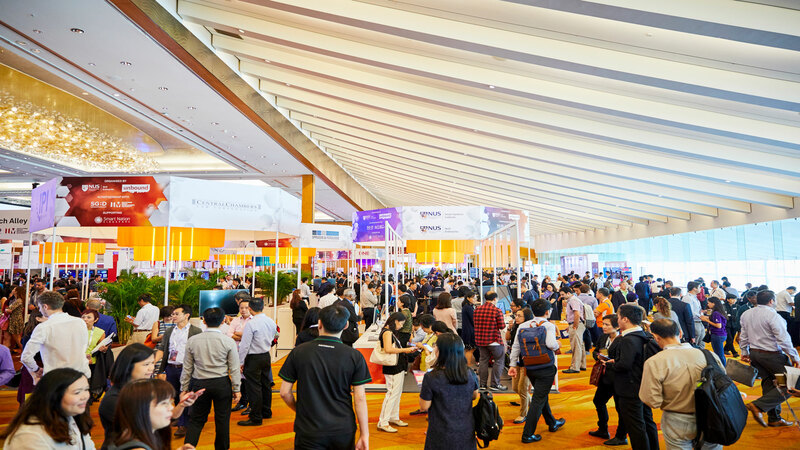 Delivering Southeast Asia’s largest and most exciting award-winning Innovation Festival every year. Successfully creating and executing a massive production with over 300 speakers and exhibitors and welcoming over 12,000 international participants. For the third year running, MICE Depot has had the privilege of executing and delivering as the official event agency for innovfest unbound. Our ultimate purpose was to showcase innovfest unbound in its fullest potential through non-conventional creativity. Innovfest Unbound, known to be “The Festival Connecting Brands and Corporations With Disruptive Techonology to Fuel Their Innovation and Growth”, is Southeast Asia’s largest and most exciting award-winning Innovation Festival. 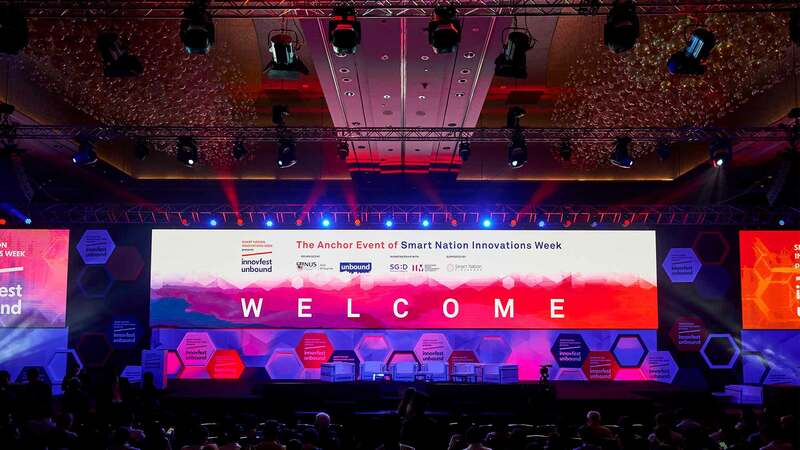 It is the anchoring event of Smart Nation Innovations’ series of events which runs over a week, showcasing the most innovative developments in Asia. Bringing to life the CHANEL sponsored showcase and recreating Gad Weil’s impressive vegetal work of art at Marina Bay Sands. 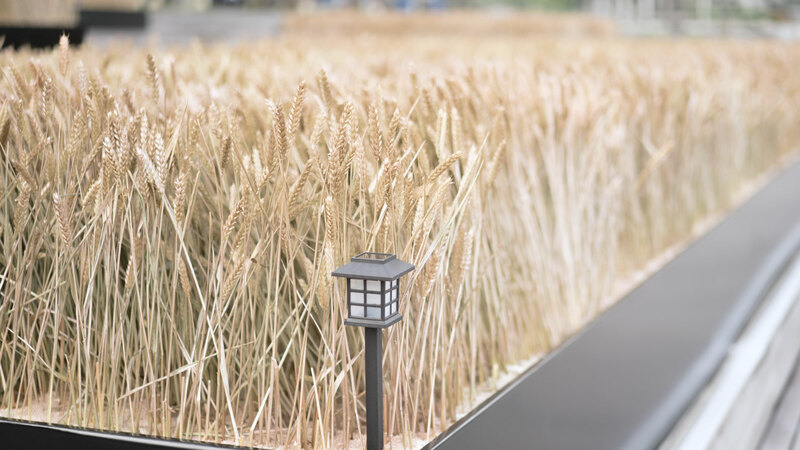 We supported the artistic installation and hand-painted more than 250,000 pieces of real wheat stalks for the intricate and highly detailed art installation. Gad Weil is a renowned French Artist sponsored by CHANEL to showcase his “Blés Vendôme” art installation across the globe. For one week, Singapore welcomed his fourth act of the ‘Nature Capitale’ artistic vegetal installation in The Event Plaza of The Shoppes at Marina Bay Sands. CHANEL introduced this journey and collaboration with Gad Weil to commemorate the launch of its Les Blés de Chanel High Jewellery collection. “Blés Vendôme” is a shared vision with CHANEL because wheat was a key element in Gabrielle CHANEL’s universe in which she surrounded herself with and believed it to be her lucky charm. MICE Depot was engaged to bring Gad Weil’s installation to life in Singapore. The installation made its debut on the Place Vendôme in July of 2016. Since then and following the Place Vendôme, it has been recreated and exhibited in Saumur and Taipei. The poetic installation had more than 250,000 pieces of real wheat stalks. Each stalk was hand-painted in three different shades of gold to create an elegant gradient effect. 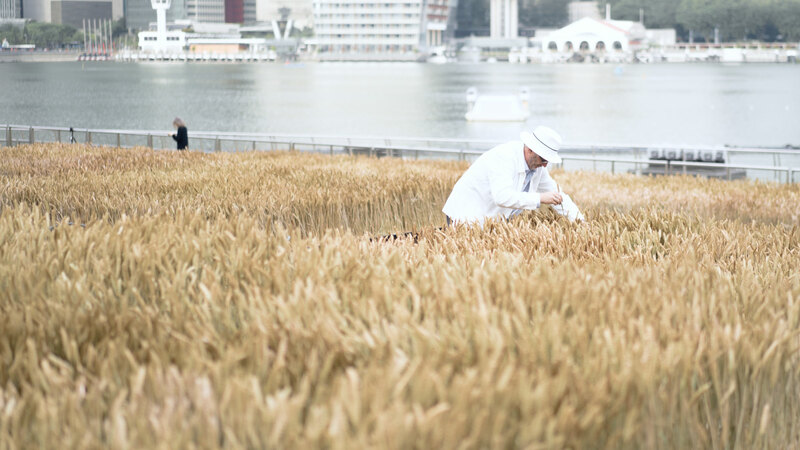 The wheat field was truly a breath-taking landscape incorporating nature and city, set against the iconic local skyline of Singapore. This installation attracted various media channels coverage from The Straits Times, Lifestyle Asia, The Peak Magazine and many more. For one week, Singapore welcomed Gad Weil’s fourth act of the ‘Nature Capitale’ artistic vegetal installation in The Event Plaza of The Shoppes at Marina Bay Sands. CHANEL introduced this journey and collaboration with Gad Weil to commemorate the launch of its Les Blés de Chanel High Jewellery collection. MICE Depot was engaged to bring Gad Weil’s installation to life in Singapore. The installation made its debut on the Place Vendôme in July of 2016. Since then, it has been recreated and exhibited in Saumur and Taipei. The poetic installation entails more than 250,000 pieces of real wheat stalks. Each stalk was hand painted in three different shades of gold to create an elegant gradient effect. This installation attracted various media channels coverage from The Straits Times, Lifestyle Asia, The Peak Magazine and many more. Being the exclusive and ultimate support team for their international roadshows. 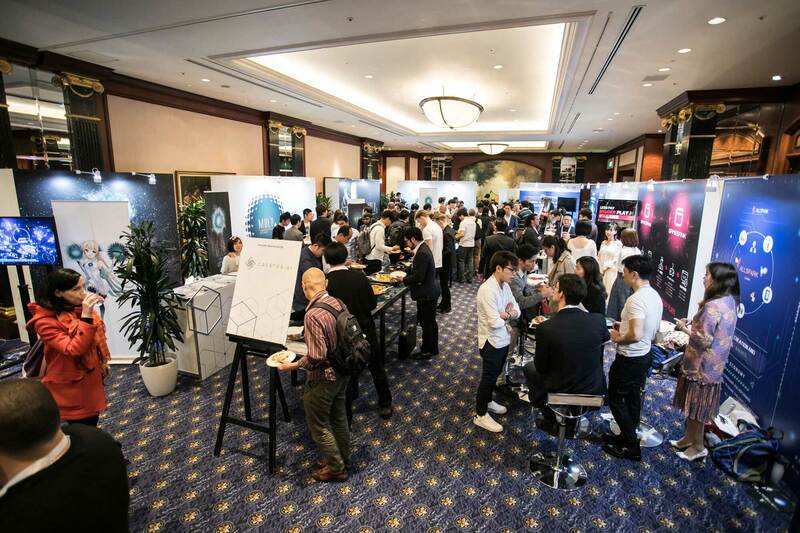 Establishing the extensive logistical foundation and producing a creative experience for the platform’s exposure in Tokyo, Seoul and Bangkok over the years. 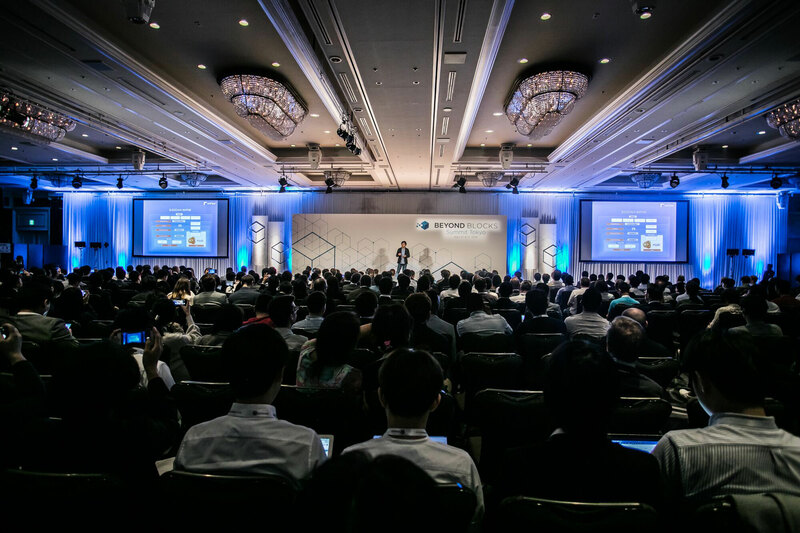 Beyond Blocks gather and unite top industry leaders, experts and community builders from across the blockchain ecosystem. It serves as the online and offline platform for Blockchain enthusiasts to network, gather content and share rich insights with the purpose of progressing the blockchain industry forward and to greater heights. MICE Depot provided an all-encompassing solution for them, from pre-event planning to post event evaluation for their annual summits. We delivered end-to-end service for all the necessary elements of the ground program consisting of creative implementations such as theming and production, registration, accommodation and transfers, conference and exhibition management, simultaneous translation and producing relevant marketing collateral.